Just today I downloaded a welcome and overdue update to the The Sibley eGuide to the Birds of North America app which enables the iPad to display all the illustrations at fullscreen. Due to the different screen resolutions of iPads and iPhone, apps that weren’t originally made for iPads were not shown full-screen. Rather they were shown in a small portion of the screen. This was always the biggest drawback to the Sibley eGuide compared to other options such as the Peterson or Audubon guide which were fully compatible with the iPad. With the new upgrade, you now have the entire screen at your disposal to view the illustrations. The bigger screen also makes it better for viewing comparisons between species. In my mind, where the iPhone version of the guide was a good field ready alternative to the printed Sibley, the new iPad-formatted Sibley eGuide is actually superior to the book version. Easy comparison between two species is now at your fingertips. It is now effortless to place two different species or two different plumages in close juxtaposition to each other for comparisons that required repeated page flipping in the past. 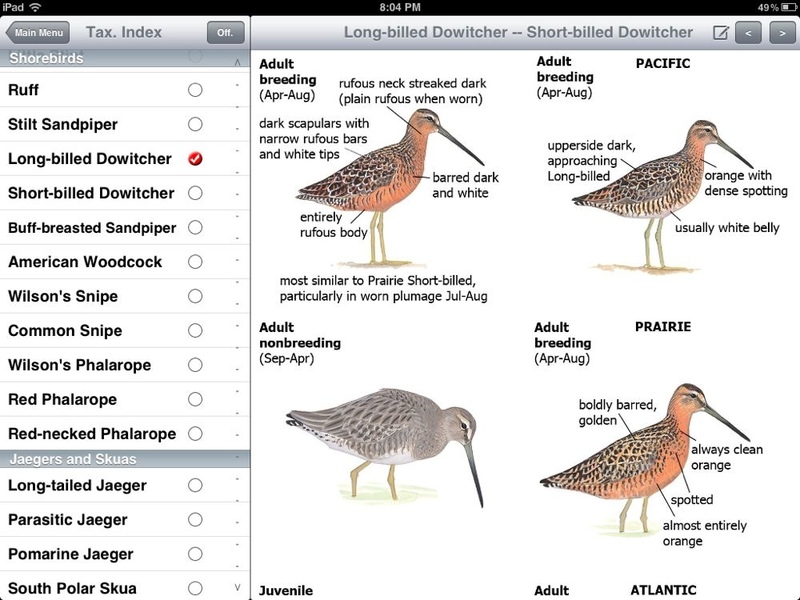 Compared to some of the other iPad bird guides, the Sibley eGuide is relatively spartan, lacking the eBird integration, natural history info and extensive search features that others boast. However, all those other apps are lacking the very thing that makes this app the best- Sibley’s artwork and attention to field identifiable field marks. The app now allows quick access to the map, vocalizations and illustrations all at once. 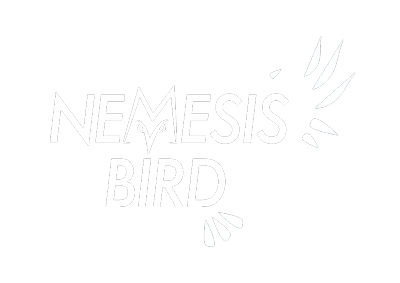 Touching an illustration zooms it to full screen and flipping back and forth through species keeps the illustrations scrolled to the same point so you can check out identical plumages of different birds without having to search through all the illustrations. Below are several plates showing the species plate and species comparisons. 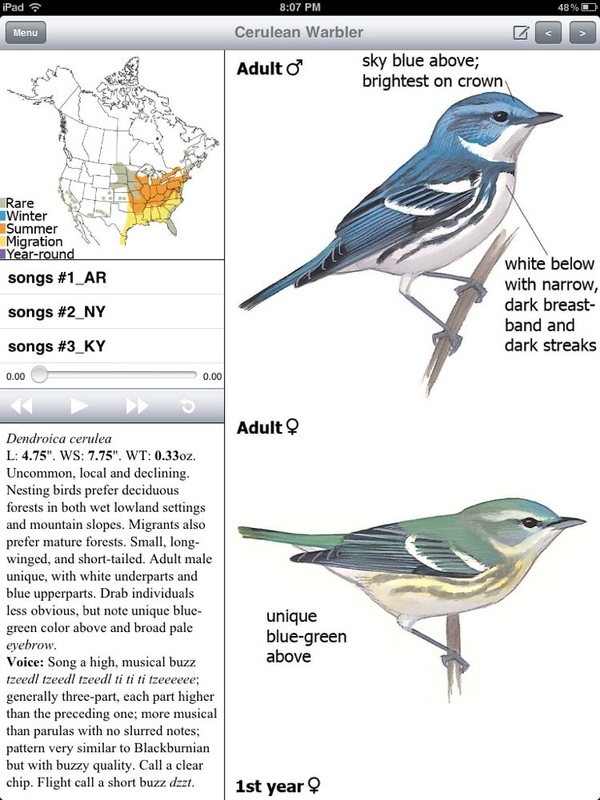 I highly recommend this app to any birder as a portable field guide and replacement for the printed version. My original printed Sibley’s may be the last Sibley’s Guide I need to buy, thanks to this app. Check it out in the iTunes App Store.